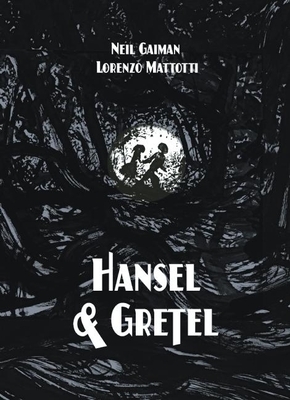 Best-selling author Neil Gaiman and fine artist Lorenzo Mattotti join forces to create Hansel & Gretel, a stunning book that's at once as familiar as a dream and as evocative as a nightmare. Mattotti's sweeping ink illustrations capture the terror and longing found in the classic Brothers Grimm fairy tale. Gaiman crafts an original text filled with his signature wit and pathos that is sure to become a favorite of readers everywhere, young and old. Lorenzo Mattotti is an Italian comics and graphic artist living in Paris. A frequent contributor of covers for the New Yorker, he's recognized as one of the most outstanding international exponents of comics art. Mattotti won an Eisner Award for his graphic novel Dr. Jekyll & Mr. Hyde. He collaborated with Lou Reed in re-imaging Edgar Allan Poe's The Raven. NEIL GAIMAN is the bestselling author of short fiction, novels, comic books, graphic novels, audio, theatre and films for children and adults alike. His work received many international awards, including the Newbery and Carnegie Medals, as well as Hugos, two Nebulas, a World Fantasy Award, four Bram Stoker Awards, six Locus Awards, and countless other honors. He is a pillar of modern fantasy writing. He has said that the story of Hansel and Gretel is what made him want to be a writer. LORENZO MATTOTTIis an Italian comics and graphic artist living in Paris. A frequent contributor of covers for The New Yorker, he's recognized as one of the most outstanding international exponents of comics art. Mattotti won an Eisner Award for his graphic novel Dr. Jekyll & Mr. Hyde. He collaborated with Lou Reed in re-imagingEdgar Allan Poe's The Raven.